It’s getting busy so don’t feel you have to comment on everyone’s post but at least peak at the Host, and the one above you so that no one is left out! 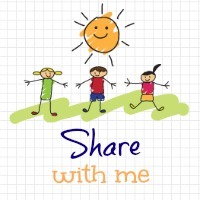 Please can I ask you to display the share with me badge or a link back to here. Welcome to the ‘Share With Me’ blog hop Week 16! It’s an honor to see that some of you have become regulars here as well as fresh faces each week. Thank you for those that joined in last week, It was a great week full of laughter posts. Left me feeling so happy and positive. I am really enjoying getting to know more of you and your lovely blogs through your posts. It’s great to see so many participating. RULES: Want to join in, all I ask is no reviews, giveaways, or linkys (the post can be along side other linkys but cannot be a linky itself). Don’t forget to include the Share With Me Badge or a link back to here, we want to know where you are partying. I will be sure to return the favor and share your post on Twitter for those that display the badge. Without further ado last week’s favorite was from the lovely Not a Frumpy Mum – Putting the Moaning On Hold. I love this post!!!. If you missed it last week, here it is again, you must stop by and have a peak! No don’t worry hunny you have all week. I am just thankful you linked up. Appreciate it!!!! Hope you feel better soon. Hi. I’ve just come across your linky – thanks for hosting. I have linked up with my latest post and I hope it is suitable.